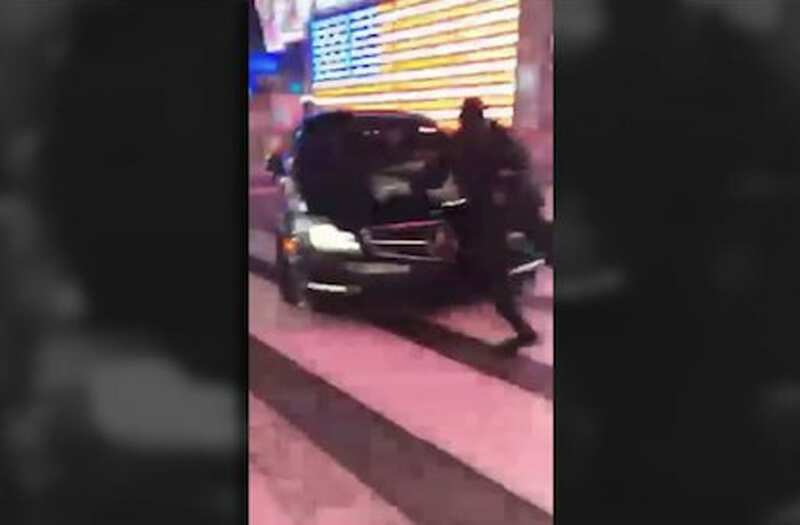 MIDTOWN, Manhattan (WPIX) — A police officer was injured after he was struck and dragged during an attempted traffic stop in Times Square early Sunday. Around 12 a.m., the officer attempted to stop a vehicle for reckless driving along 234 W. 42nd St., police said. Instead of stopping, the vehicle sped off and clipped the officer, according to police. The officer has been identified as Ian Wallace, 26, a police source told PIX11. He was treated and released from the hospital with minor bumps and bruises. The vehicle, described to be a dark-colored four-door sedan, was last seen fleeing west on 42nd Street.